Just how good is Rift? Its creators claim it's so good that it snagged 600,000 subscribers away from World of Warcraft. Trion Worlds' MMO Rift has been pretty popular with critics and is doing pretty well with consumers, too. It's been announced that the game has almost sold a million copies, but the developer is now hinting that it stole over a half-million subscribers from World of Warcraft. The hint was actually a tongue-in-cheek comment by Trion's senior VP , David Reid during an interview with Gamasutra. "We're really pleased with what we're seeing," he said. "And beyond that, it was a pleasure to see that in the latest Activision Blizzard earnings call, they inquired about Rift when Blizzard announced that their subscriber numbers went from 12 million to 11.4 million. "You can do some math... We know very well where those 600,000 people are." Of course, the million-copy milestone means that that many copies of the game have been sold, not how many people are subscribing to it. 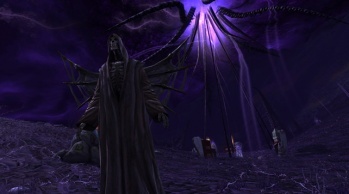 Rift is about to receive a new patch, called Waves of Madness on June 22nd, which is set to include some new features that will probably make the game even more appealing for new players and might tempt a few more folks away from the world of Azeroth. if you're curious about Rift, check out our very own John Funk's review.